Alternative credit is, at its core, an option made available for borrowers who have little or no credit. For those with bad credit – and there are many – there are different forms of alternative credit, which is explained in this article. For those without an established credit history and in some instances, those with bad credit, alternative credit usually includes letters from businesses that don’t typically report to credit bureaus. They can include utilities, landlord, phone bills, etc. Canceled checks or print outs from the companies are usually acceptable. In many instances, alternative credit is an excellent way for someone with bad, no or little credit to prove creditworthiness. There’s another kind of alternative credit, too. With so many Americans who are struggling with the credit ratings, rebuilding can be overwhelming – especially if there are foreclosures, judgments and bankruptcies. Bridge loans and HAMP Tier 2 loans are two options for many consumers, especially if they’re looking to secure a mortgage or refinance their current loan. These have proven to be ideal solutions for millions. One reason is the flexibility they offer. They also have fewer restrictions. Understanding how they work is the first step down that path. These loan products are quickly becoming the best chance for those who need a short term financial option. Bridge loans usually have between two and three year terms. As the name implies, these products are used to bridge borrowers over difficult financial times. It’s a win win, too, since investors are making a tidy sum. Naturally, the fast approval is a huge benefit to bridge loans. What might take weeks for a bank to approve, a bridge loan can usually gain an approval – or denial – within days. There’s also another reason these are proving to be a strong presence. Bridge loans are usually absent of the stipulations that can tie up traditional loans for weeks or longer. Don’t confuse these with stated products, which were the downfall of the mortgage industry in 2008, everything you provide will be verified; it’s just that what’s required isn’t going to mean digging ten years into your past to find a receipt. Plus, you’ll discover that your purpose for the loan isn’t going to be a consideration. The restrictions are simply absent from these offers for the most part. For instance, if you’re considering a bridge loan to do some last minute repairs before selling your home or if you’re looking to secure closing costs, a bridge loan is often a solid choice. Most traditional loan products consider one’s credit history the most important element in a loan package. Not so with bridge loans. While these lenders will take that into consideration, it’s not necessarily a deal breaker and often, approvals can be had much sooner than a traditional bank loan. The flexibility is crucial since it eliminates a number of stumbling blocks, including the absence of early termination fees. There are, of course, compliance issues borrowers must adhere to should they opt to take on these kinds of loan products, but they’re just not as invasive. Note: Bridge loans aren’t without risk or costs. Many homeowners who have found a new home but who have not yet sold their current home often turn to these products. In these instances, your current equity will play a role – and there’s more. The points and interest rates are higher and even though there’s no early termination fee, that doesn’t mean there aren’t some fees. Be sure you understand those fees before you ever agree to enter into this kind of contract. Some lenders encourage homeowners to borrower against their retirement. Your 401 K allows for these withdrawals and lenders see these as acceptable funding sources for down payments. In fact, any kind of secured loan product, including a car, is considered fair game for those wishing to dip into their retirement. Keep in mind, though, paying off a credit card isn’t an acceptable use. And it is true that borrowing from yourself is going to be cost efficient. This particular loan product, also known as the “Making Home Affordable Program”, went into effect a few years ago. There were still a few areas that didn’t go into effect until last summer, but now that all of the balls are in the air, it’s proven to be a great opportunity for homeowners who are worried about foreclosure. There are eligibility requirements, but this mortgage modification program has helped homeowners across the nation. The new guidelines, in short, basically expand the qualifications and deadlines for eligibility. There are three programs under HAMP. The first is the Home Affordable Unemployment Program, Home Affordable Foreclosure Alternatives Program and Second Lien Modification Program. The only loans that don’t qualify for this particular program are those who are under Fannie Mae or Freddie Mac, FHA, VA or the Department of Agriculture Rural Housing Service. This most recent revision addresses deadlines. 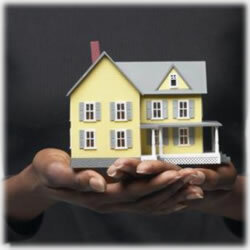 Homeowners now have until December 31, 2013 to apply for the government backed program. The year long extension allows for better opportunities for all homeowners to get word that it is available. There’s also another addition to the revised program. Now, for those who are unemployed they can qualify for up to a 12 month forbearance window. Lenders are required to make sure their borrowers are aware of this option, too. If after a year, the circumstances haven’t improved, the homeowner may be able to qualify for an extension. For those interested in HAMP, you should contact your lender. Even those who failed to maintain their contract with their original HAMP can still qualify for the extension, which could mean the difference in losing their home or keeping it. Borrowers who are eligible to apply for HAMP 2 modification must have at least 12 months between the first HAMP loan and the HAMP 2. The debt to income ratio, or DTI, includes a HAMP Tier 2 pre-modification monthly mortgage payment below 31 percent of DTI ratio. Some borrowers may not qualify if their the numbers are lower than 25 percent or more than 42 percent. Again, it’s important to speak to the lender for a clear image of what all of the options are for any particular homeowner’s circumstances. And ask questions! If you’re unsure of what you’re getting into, then it’s definitely not something you should pursue until you’ve had a chance to complete due diligence. These are just a few of the many new programs available for those who are struggling with getting a more balanced financial footing. A bridge loan might well serve one’s needs, especially if they’re looking for flexibility and easier approval guidelines. For others, it could be the HAMP products. And still others might have better luck with different financial products. The key is to find what works best and then ensure it’s going to fit into the monthly budget. It’s challenging and as many Americans can attest to, it’s downright brutal. Once it’s done, though, the burden that’s lifted is priceless. Any firsthand experience with these financial tools? Share your stories and whether or not you think it’s worth the time for other consumers. Leave us a comment or join the conversation on Facebook.